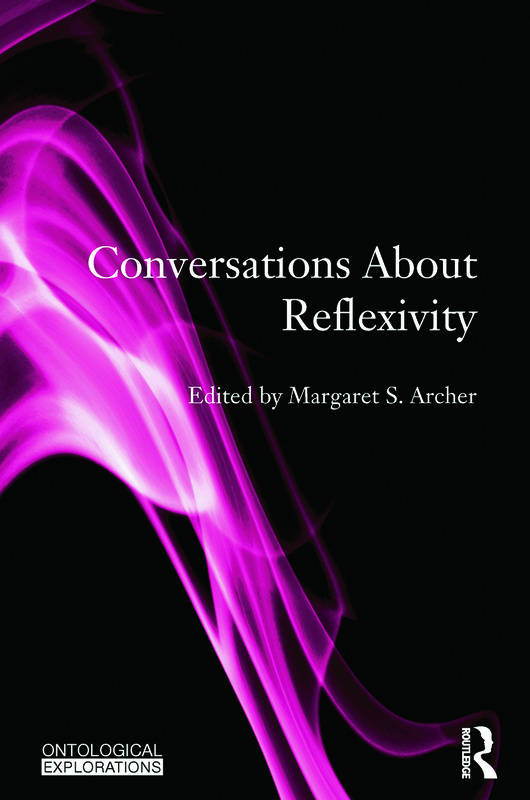 " Reflexivity" is defined as the regular exercise of the mental ability, shared by all normal people, to consider themselves in relation to their (social) contexts and vice versa. In addition to this sociological interest, it allows us to hold idle or trivial internal conversations. Focussing fully on this phenomenon, this book discusses the three main questions associated with this subject in detail. Where does the ability to be "reflexive" comes from? What part do our internal reflexive deliberations play in designing the courses of action we take: subordinate to habitual action or not? Is "reflexivity" a homogeneous practice for all people and invariant over history? In addressing these questions, contributors engage critically with the most relevant studies by luminaries such as G.H Mead, C.S. Pierce, Habermas, Luhmann, Beck, Giddens and Bourdieu. Most contributors are leading Pragmatists or Critical Realists, associated with the "Reflexivity Forum" an informal, international and inter-disciplinary group. This combination of reference to influential writers of the past, and the best of modern theory has produced a fascinating book that is essential reading for all students with a serious interest in social theory or critical realism. Can reflexivity and habitus work in tandem?